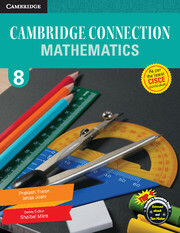 Cambridge Connection – Mathematics for ICSE Schools is a carefully graded activity-based mathematics series for 1-8. The Cambridge Connection, Mathematics for ICSE Schools is a carefully-graded, activity-based mathematics series for classes 1–8. 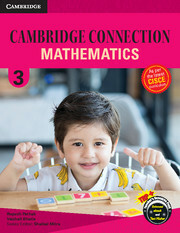 The aim of this series is to make learning of mathematics a thoroughly enjoyable experience. This series has been prepared in strict conformity with the latest syllabus prescribed by the Council for the Indian School Certificate Examinations. The complete package consists of a Student’s Book, Teacher’s Manual and Teacher’s Resource Pack. This blend of print and digital components will assist teachers in effectively catering to the differential needs of the students.